The next day, I travel by car to Klaipeda with Signe Baumane, her son Harolds, Bill Plympton, and Richardes, who drives. Bill and Signe's screening, it turns out, takes place in a casino. 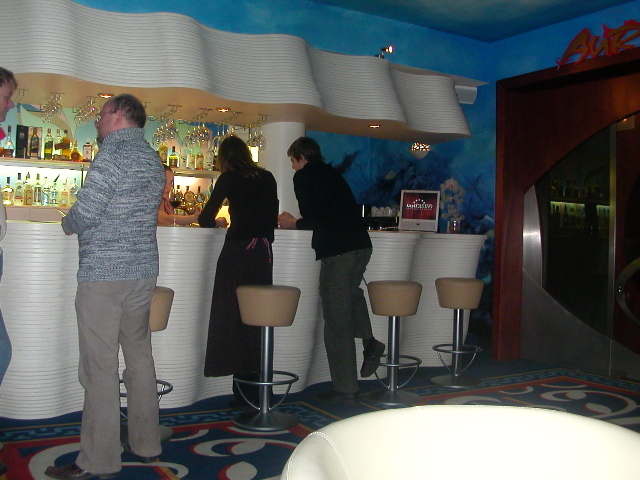 Here's Signe and Hatolds at the clam-shaped bar. 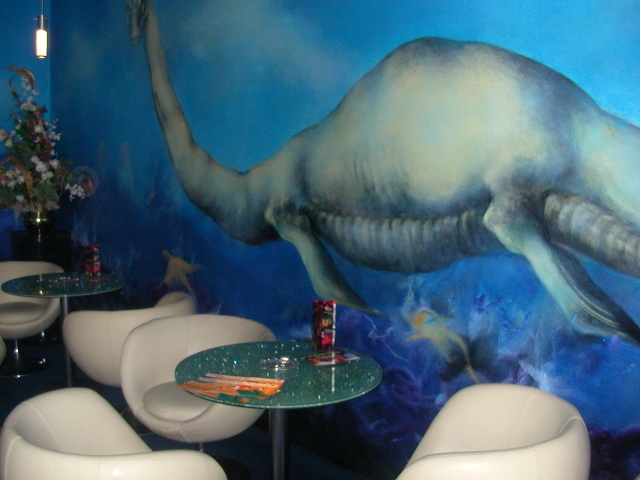 Another part of the bar, featuring a mural of an aquatic dinosaur. 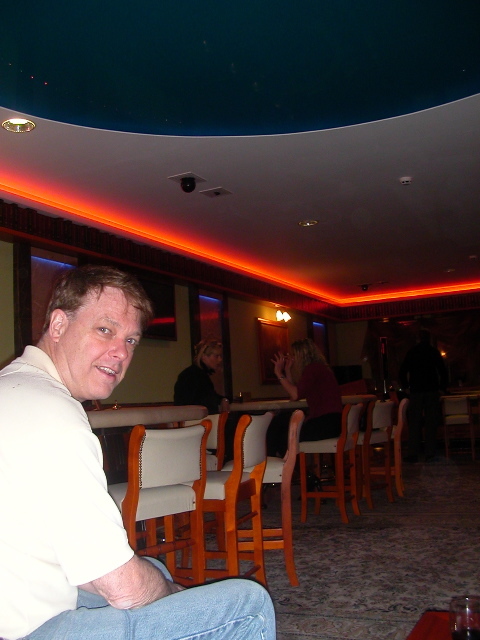 Bill in the casino's VIP room. 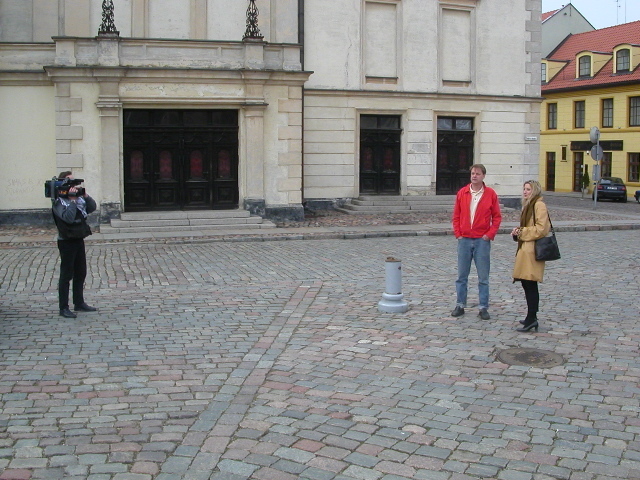 Bill and our Klaipeda hostess Yolita, captured for Television. That building behind them? Apparently Adolf Hitler once gave a speech from its balcony. Signe and Harolds and a TV cameraman. Signe is a big star in the Baltic states. More media action: Yolita, Bill, and Signe. The following day we visit the Curonian Spit - Neringa National Park. 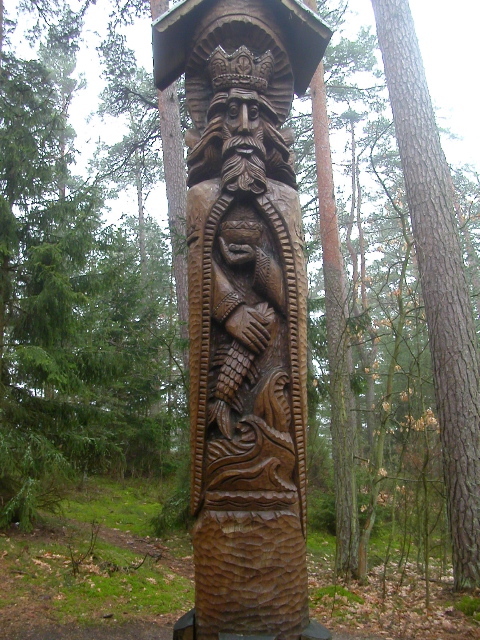 There we find many beautiful wood sculptures like this one. 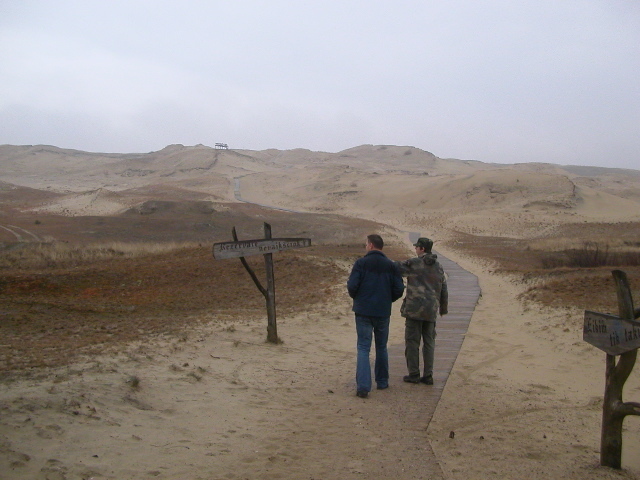 Sand dunes in Neringa National Park. It looks like a dry desert, but the air is damp and drizzly. In the Middle Ages, people cut down all the trees for ship-building; the shifting sands then swallowed whole villages. This was the last picture I could fit on my digital camera's memory card.